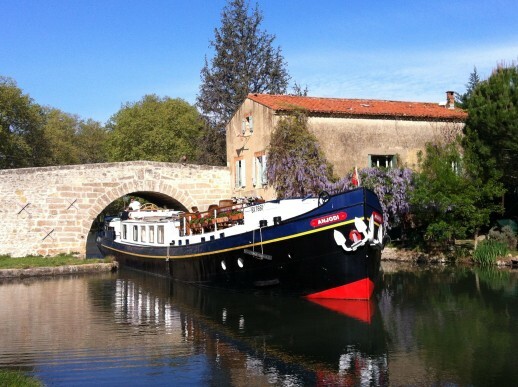 European Waterways has announced its 2019 brochure, featuring a new look and more than 100 colourful pages detailing the wide range of luxury hotel barge cruises for the new season across Europe. With the demand for experiential excursions at an all-time high, the brochure highlights an expanded assortment of exclusive guided tours led by local personages such as Counts, Baronesses and members of the French military. In between are exclusive wine tastings, fine dining and visits to unique attractions that include castles, stately homes and UNESCO World Heritage sites. Among European Waterways’ newest additions in France is a private tour of the French military stables of the Château de Fontainebleau, an architectural marvel with 1,500 rooms that was the opulent country house for French monarchs from Louis VII to Napoleon III. Guests might also be treated to a stroll around the Château de Commarin, accompanied by Count Bertrand de Vogue, the 26th generation of the de Vogue family, which has maintained continuous residence since the 13th century. They can also enjoy a boutique champagne tasting and gastronomic lunch with the Baroness at the historic Château de Ricey-Bas, a stately home in Les Riceys. European Waterways is offering brochure launch specials for spring 2019 departures, when booked by January 7, 2019. The brochure is available to download from EuropeanWaterways.com.